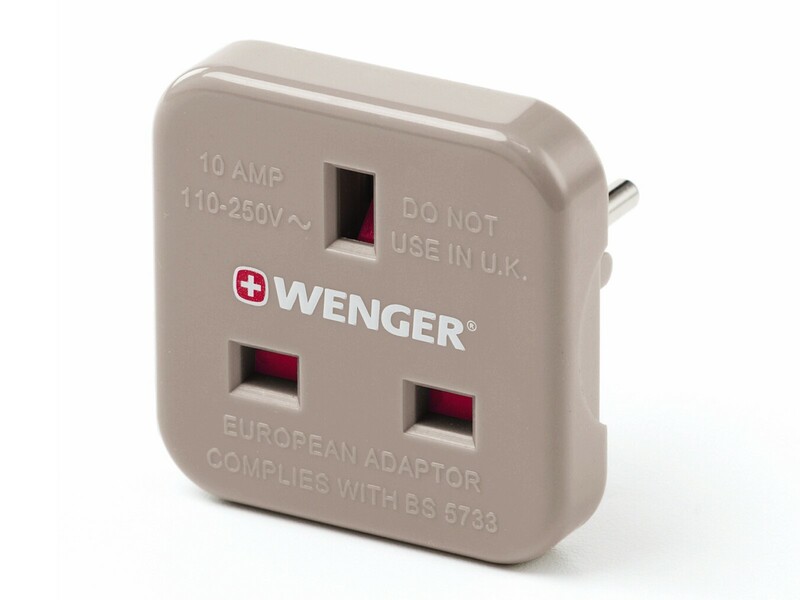 The Wenger European Adaptor - This Adaptor will enable you to plug your UK travel appliances into most sockets across the Continent. 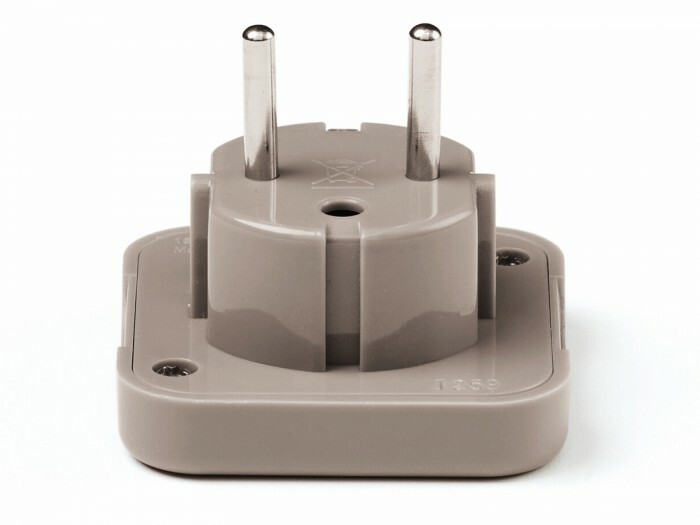 Handy European adaptor helps plug UK 3-square pin plugs into overseas sockets. This Adaptor engineered for European travel and fits most European sockets. Produced by Wenger the company known for the Swiss Army Knife. Because it's made by Wenger, the makers of the genuine Swiss Army Knife, you know that this European Adaptor is made with precision and quality and will last you many years of use. 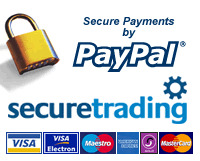 Engineered for European travel and Complies with BS5733.